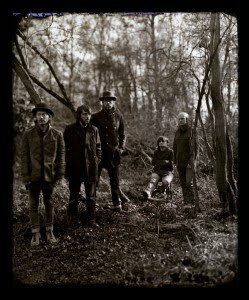 Radiohead have always been a big fan of Trees even back to the days of The Bends with 'Fake Plastic Trees' (Heck I named my website after it), and is it really surprising now that they have released their 8th studio album The King of Limbs and it is entirely related to trees? They decided to honor one of Britain's oldest trees 'Big Belly Oak' which is located in the 4,000-acre Savernake Forest in Wiltshire, England. The tree is thought to be between 1,000 and 1,100 years old. With a girth of more than 36 feet, it is one of 50 trees honored as part of the Queen's Golden Jubilee celebrations. There even is an old wise tale saying that the devil appears to anyone who dances naked at midnight 12 times anti-clockwise around the tree. You might think to yourself - what why would you dedicate an entire album to a tree? And hey even Liam Gallagher said the same thing well a little more harsh maybe... "I heard that f------ Radiohead record ['The King Of Limbs'] and I just go, 'What?!'" he said. "I like to think that what we do, we do f------ well. Them writing a song about a f------ tree? Give me a f------ break! A thousand year old tree? Go f--- yourself!" ... it is all a bit harsh if you ask me but that is just Liam being Liam. 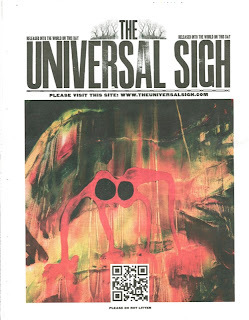 So Radiohead make this announcement on http://thekingoflimbs.com/DIUSD.htm "Radiohead's new record, The King Of Limbs, is presented here as the world's first* Newspaper Album". This being for The Newspaper Album Presale. For me I still believe The newspaper album and TKOL Record are two separate entities. Well TKOL record actually just being a part of The Newspaper Album. I go into more detail on it on a previous post here. Now I want to break down the whole The King of Limbs vs The Newspaper Album once again. Starting off with back in August, 2009 the band released a single called 'These Are My Twisted Words'. At the time no one really thought too much of it just a song being released and such. But now with all the TKOL talk this song is starting to be brought back up over and over again. The artwork for the updated Radiohead website has been changed to look similar to that of TAMTW artwork back in 2009. 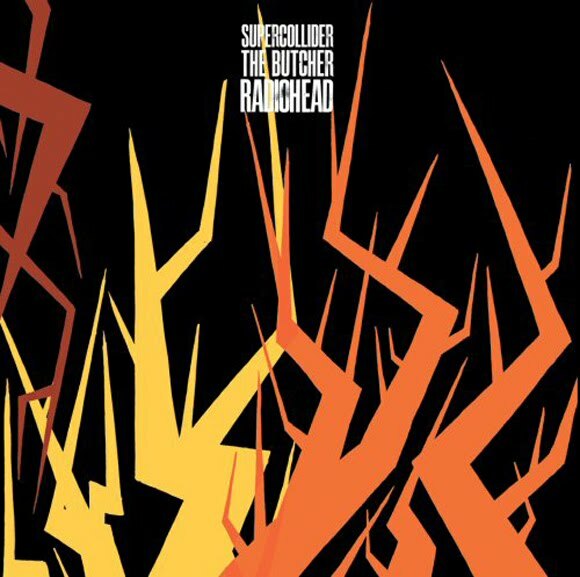 Also the new single announced for Record Store Day - Supercollider/The Butcher again brings us back to TAMTW artwork. There has been a constant theme with these trees and limbs right from the start. I believe 'These Are My Twisted Words' was actually THE SEED to The King of Limbs. It was planted a year and a half ago in Radiohead already anticipating and knowing what they had in store with this Newspaper Album. Next The King of Limbs comes along and it is that original seed turned into a tree (or the TREE TRUNK). Now we get the announcement of Supercollider/The Butcher and that is THE BRANCHES coming out of that TREE TRUNK. The next question I ask you does a tree have only one or a couple of branches? Nope there are plenty of branches on trees and I believe that is the case with The Newspaper Album. There will also be plenty of Branches (Additional Songs) that will be springing out of this tree. I wrote another post about The Puzzle Pieces Theory proclaiming that The Newspaper Album is a Paid Newspaper Subscription. That initial $48 for the World's first newspaper album was for more then 8 songs and a 625 book of art. There are additional clues out there as well, Jonny saying that the band is currently recording in the studio, The bands silence since the release of TKOL's, Thom mentioning in previous interviews that they don't want to release a traditional album and all the unrecorded songs played live the few years, plus the 4 year time frame in between In Rainbows clearly they would write more then 8 songs. Wonder what that barcode scans for? Instead of steadily releasing several branches (such as releasing songs in 2's starting with Supercollider/The Butcher), I don't think it's out of the question to call Suppercollider/The Butcher the "primary branches" from which other branches grow off of. If your theory about TAMTW being the seed is correct, then it would imply a continuous outward growth. In other words, I think a trees branches grow exponentially instead of simply two-by-two. People have theories about a second album coming out, perhaps "the queen of diamonds" based on the ims menoo referencing "he is and she is." I think this second album may be either the collection of branches OR it could be the "leaves" or "fruit" on the end of the branches. A tree is more than just branches; trees are meant to produce. In this way, perhaps the next release after SuperCollider/The Butcher will consist of four songs (2 x 2). And perhaps the release after that will consist of eight songs (4 x 2). This release could likely be the second album, has it would match up very well with the 8-track TKOL. I beat you to it... haha. Glad to see someone else is thinking along the same lines. I've read all the clues from Chieftan Mews and Aporia and they seem to be always related to the tree's genesis, from seed to leaves. In the TKOL's cover we have a couple which has been inspired by Munch's paint "Amor and Psyche". Aporia posted this following message: "If we are a metaphor of the universe, the human couple is the metaphor par excellence, the point of intersection of all forces and the seed of all forms. The couple is time recaptured, the return to the time before time. [OP]". And Chieftan Mews said that the King is the King Of Limbs and the all others are like soldiers, likewise the heart tells to the bodyparts to move. I'm now thinking that TKOL is the heart, the couple, "the seed of all forms" (look at the Arbor Philosophica in TKOL artwork...). "Leaves fall & then grow again. From the same branches. The sounds they make can change too." - "from the same branches": he's talking about TKOL's main branches. 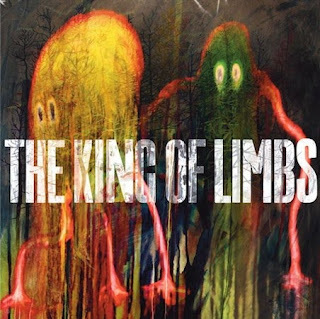 I don't know how many main-branches has The real King Of Limbs (3 or 4 I guess). The first one was These Are My Twisted Words (one song). The second one will be "Supercollider/The Butcher" (2 songs). I think the third one will have 3 songs and the fourth one 4 songs. We will see the TKOL's main branches in bloom ("Leaves fall & then grow again. 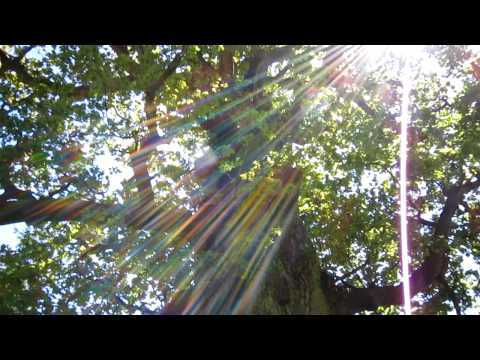 From the same branches") and each one will have a different sound ("The sounds they make can change too"). MOLONOVORECORDS some great great insights there. I love "The Sounds They Make Can Change Too" makes me think there is some additional songs to come that will go in another direction. This could also explain the absent Jonny on TKOL's and maybe the next sounds we here are back to Jonny ripping his guitar to shreds again. I find it interesting about the 1 song branch, to the 2 song, 3 song and 4 song branches and These Are My Twisted Words being the original 1 song branch. And now Supercollider/The Butcher being that 2 song branch. So if this theory would be correct we would expect a 3 song release in the next few months I suppose. 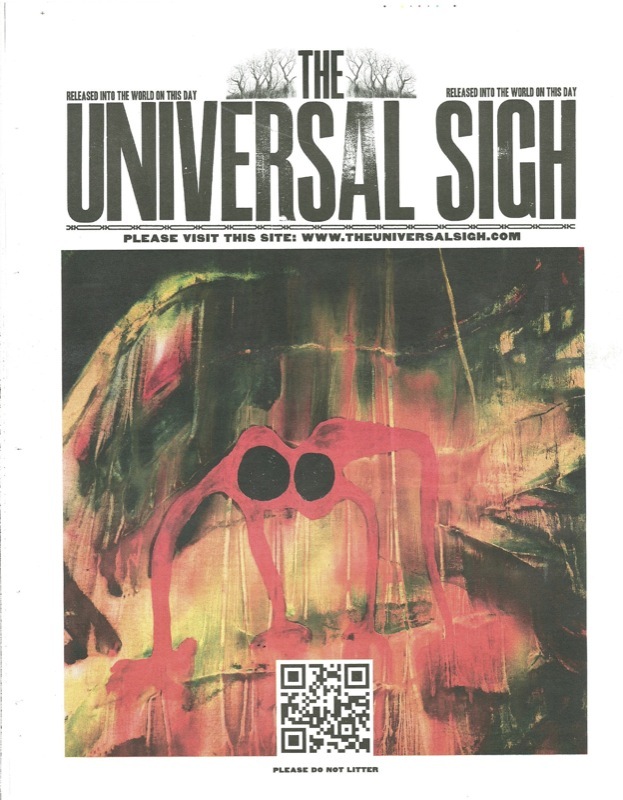 I have also been studying The Universal Sigh Newspaper and am trying to make as much sense of it as possible. I feel there is something hidden in that Stanley Donwood article, but just can't put my finger on it yet. "There’s nothing archival about a newspaper. It doesn’t pretend to be definitive; just because a newspaper comes out we don’t expect news to stop, or sport to finish. A newspaper is just a simple statement, an account of how things were at the time of writing. Newspapers aren’t even preserved. The vast bulk of them are recycled and turned into more newspapers." Then he calls the new record "very much ... a state-of-play document." I wouldn't be surprised (in fact I'd be a little pleased) if part of the newspaper album concept documents the growing of the limbs. We've got these 8 tracks, all sounding a bit rough and young, without (to my ears) the polish and finality I generally expect from Radiohead--most of the mixes are dense and cluttered, waiting for refinement (and where oh where is Selway amidst all the static, front and center drum loops) These songs may well be released again in future stages, with their branches or leaves shooting off as well, the "newspaper album" being the doumentation of developments along the way--periodic snapshots of the tree at that time. Given Donwood's comment, "Newspapers aren’t even preserved," I'd expect more digital format singles and EPs (hopefully 24bit FLAC available), rather than "albums". After "revolutionizing" music distribution repeatedly by embracing the possibilities of the Internet to break from the traditional and make an album as much of an event as a physical entity (Kid A listening parties and online full-album preview, web casts, name-your-price download before physical release), a subscription or periodical album seems like a perfectly reasonable next innovation for the band. I think TKOL is the 4 first songs on the album, so we have the beginning of the tree and Codex is the four last songs, so we have the Caudex hence the trunk of the tree ... Maybe ? To continue the idea of the whole thing as something growing vertically (seed, trunk, branches) don't forget to consider that a tree also has a Crown at the very top! i wonder whether we're going to see tkol songs developed by the band as the newspaper release unravels over time. Yeah the whole songs developing over time is a good way to look at it as well. I think a song like Feral could really develop into something more. Some more good points brought up here. I would love to hear what the band had to say about the whole thing. Maybe one day we will get a big interview on all things The King of Limbs and only then would we truly understand what it all is about. Harry Patch seems like something seperate though but I could be wrong. Little late to this forum, and probably throwing out thoughts that have been previously brought up. I think it may be just as Donwood hints. Newspapers aren't definitive, they just state facts (songs). Maybe as more "facts" are released, the intention is for us to form our individual thoughts and opinions. Thus, making our own album talored how we like it. The band has made comments about how the digital age has changed the way music is perceived, and how the album is no longer as relevant as it once was... Most people just download songs and make their own playlists. Maybe they are trying to combine the two, so that the album isn't definitive and like a newspaper it can be recycled into new forms (playlists/albums). Donwood did say, "Newspapers aren’t even preserved. The vast bulk of them are recycled and turned into more newspapers." I don't think the band will release new albums, just new songs for us to let grow on the tree (we prune them how we want, and make our own tree). (The heart tells the body parts to move.) This may be their way of trying to make the album relevant in the digital age. It is probably not as complicated as everyone expects (it rarely is), though conspiracy is fun. Also, I currently have "The Butcher" after "Feral" in my playlist. The King of Limbs is Dead! Badly Drawn Boy – Is There Nothing We Could Do?